Gelato is served at a warmer temperature than our typical ice creams, so it’s softer, nearly melty, and incredibly good. 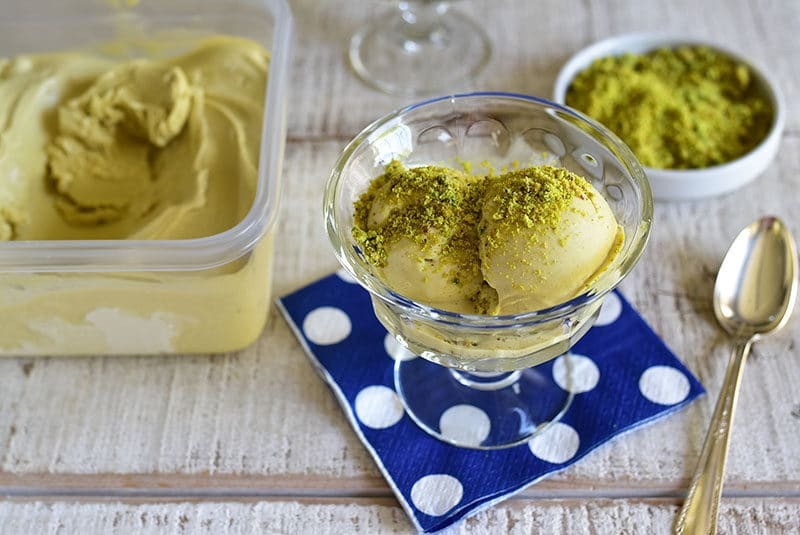 For pistachio gelato, getting deep pistachio flavor requires using pistachio butter, or pistachio paste, whose ingredients are strictly pistachios and maybe a little oil. This takes some searching and planning ahead to order, but this one is good. 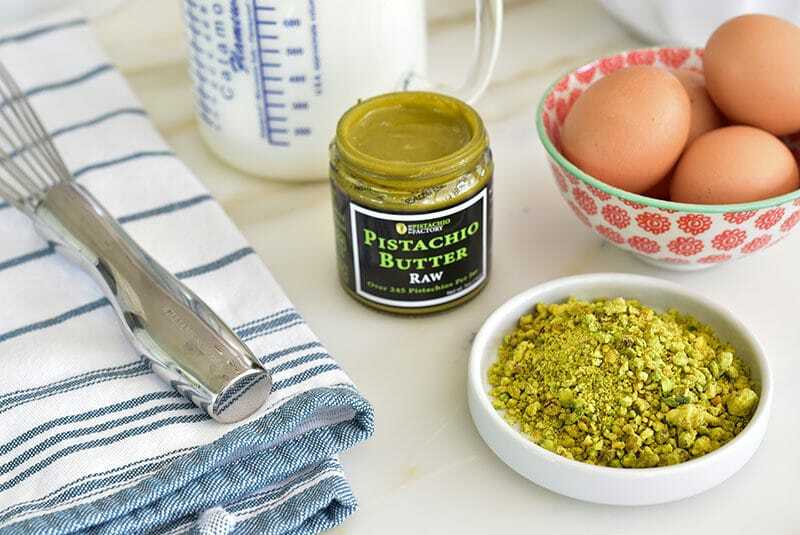 For the garnish, raw pistachios make for the brightest green hue. 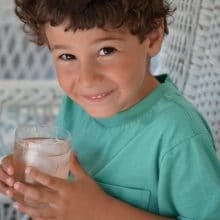 Maybe it’s because the very thought of an ice cube near my teeth has always made me cringe and run. And though I never turn any kind of ice cream down, my favorite ice cream is softer, and less cold . . . less ice/more cream. It’s a sensitivity that should have tempered my ice cream desires, but I’ve managed to find my way around it in the form of soft serve and gelatos. I apply a simple rule: never, ever bite into ice cream. My dad did enough of that for the whole family. He’d see one or another of his kids with a big cone, and give the “c’meer” sign with his first finger. This was known doom for the kid and the cone, but with a man like that, there was no saying no and we didn’t even try. We just yelled “hhhheyyyyyyyyy!” as he took a bite that was absolutely half of the ice cream atop the cone. He figured he had one shot at it and he was going to get it good. For those of us who could not and would not bite, but rightfully licked the ice cream, we got hit the hardest given that it took us longer to eat our cones and therefore more time for him to swoop in. My sister, poor thing, to this day will still be eating her cone when the rest of us are long done and gone on to the next thing (she’s working on last night’s cone still now). I guess she has the cold teeth problem like me, but worse. The attraction to less cold, softer ice cream used to mean I wanted soft serve above all. Bring on the Tastee Twist! It’s still where my heart lies, but when I discovered gelato (pistachio gelato, thank you God!) on my first trip to Europe looong time ago, there just wasn’t the variety in ice cream shops and grocery stores at that time, and a whole new world of ice cream opened up for me (I won’t say “back then” like a Sittee, but really it was indeed back then). Gelato is served at a warmer temperature and has more sugar than our typical ice creams, so it’s softer, nearly melty, and incredibly good. So even if some touches your teeth, you don’t have to scream for ice cream. 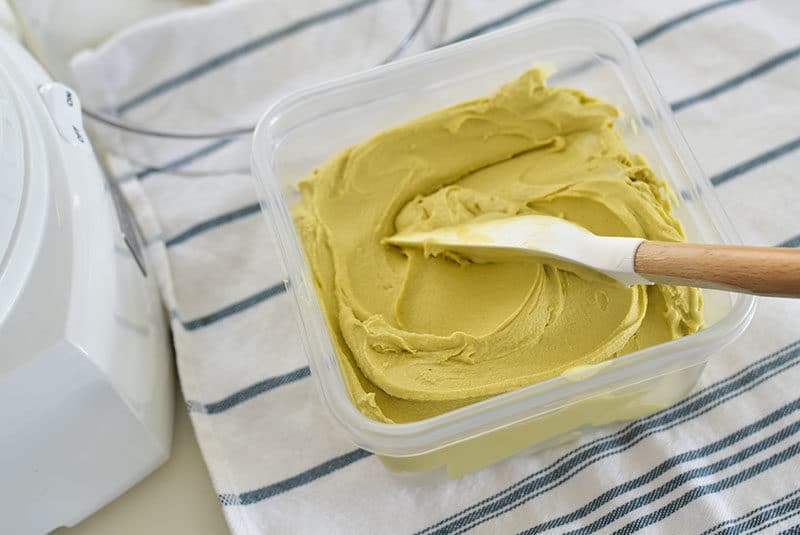 Getting deep pistachio flavor requires using pistachio butter, or pistachio paste, whose ingredients are strictly pistachios and maybe a little oil. This takes some searching, but this one is good. Eat the gelato within a couple of days. 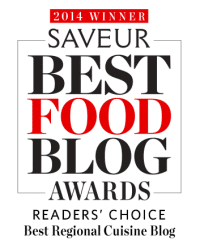 Thanks to Saveur for a great recipe and explanation of pistachio gelato. In a medium bowl, whisk the egg yolks and sugar until the mixture is thick and pale. In a medium saucepan, combine the milk, cream, salt, and vanilla over medium heat, cooking just to steaming. Temper the eggs by whisking in a ladle of the hot milk. Slowly add more hot milk until all of the milk is combined with the egg mixture. 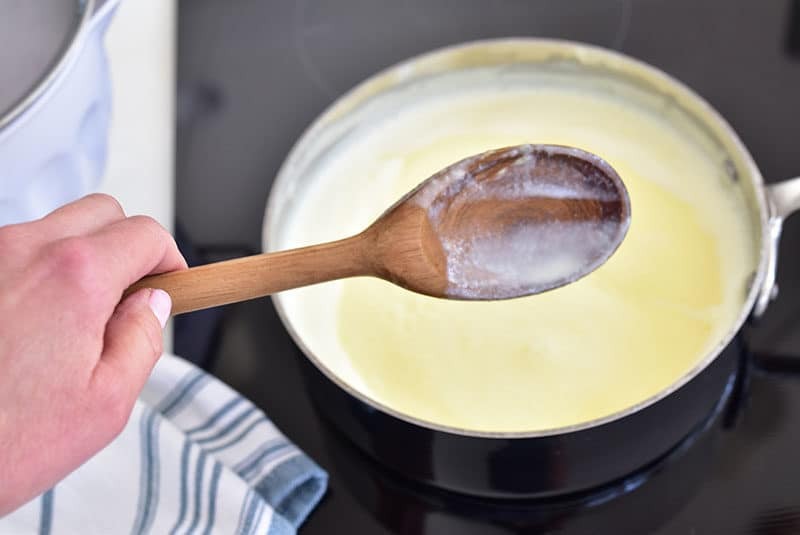 Pour the custard back into the saucepan and cook over medium heat, stirring constantly with a wooden spoon until it is hot (170 degrees F) and slightly thickened. Do the spoon test by running a finger across the spoon that has been dipped in the custard. The line should remain. 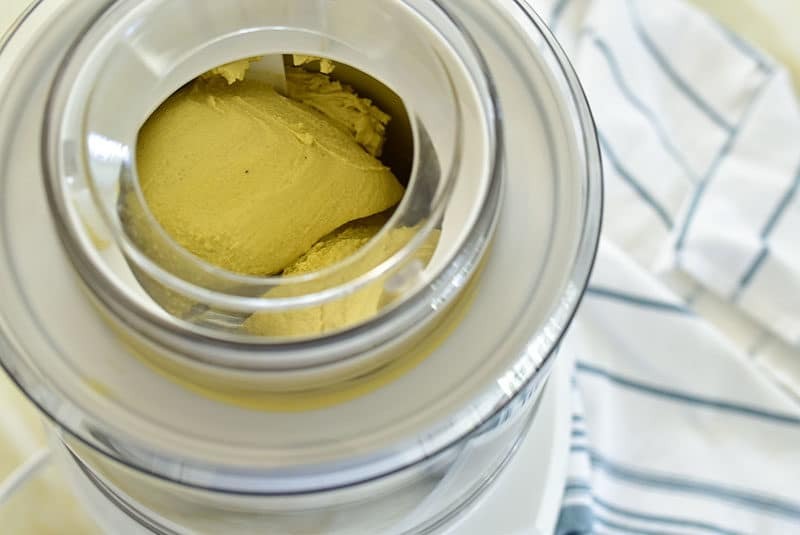 Strain the custard into a clean bowl. 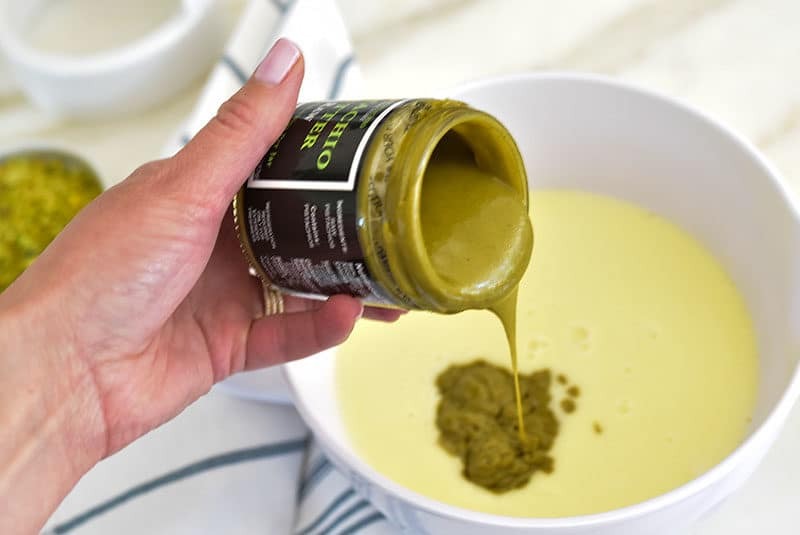 Stir in the pistachio butter. Chill the custard until it is completely chilled. Do this in the refrigerator overnight, or quickly by placing the bowl of custard (or pour the custard into a ziplock bag) in an ice bath. Churn the custard in an frozen ice cream maker according to the manufacturer's instructions, until it is very thick and smooth, about 30 minutes. 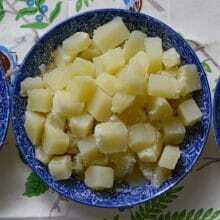 Serve immediately, or scrape into an airtight container and freeze for up to 3 days. 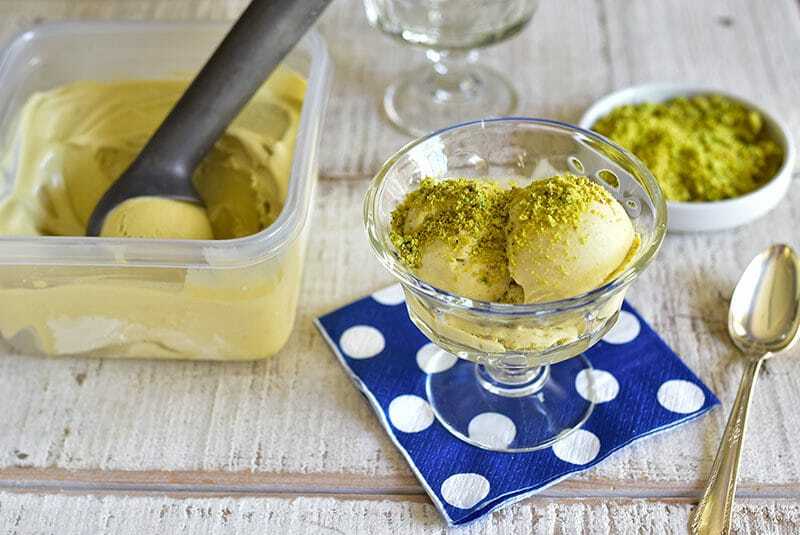 To serve, top scoops of the gelato with crushed raw pistachios. 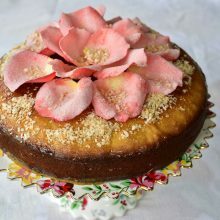 Rose syrup is also delicious over the gelato.